Capricorn Enterprise acknowledges the research assistance from Tourism and Events Queensland. In the Asia-Pacific market, and until the early 2000s, new routes were primarily conceived, identified and analysed by airlines. Relatively large teams of networking planning analysts investigated and assessed new market opportunities, primarily drawing upon their own internal data sources. Network planning in this region was an activity pursued almost exclusively by large, “legacy” airlines, with very few instances of non-traditional airline models. Announcements of new routes and destinations were infrequent, a legacy of pre-deregulation days when government approval was needed to launch new routes. In this context, the role of airports and destinations was to support the development of new destinations through joint marketing efforts with airlines, operational facilitation and – in some instances – co-investment/joint ownership between the airline and the destination (such as Hamilton Island Resort & Ansett Australia). In the early 2000s, Australia witnessed a revolution in the domestic aviation marketplace, led by the emergence of new airlines with a “low cost” operating model – such as Impulse Airlines and Virgin Blue – and the disappearance of one of the two traditional legacy carriers – namely, Ansett Australia. These low cost carriers operated with lean corporate overheads, and departed from the traditional ‘hub-and-spoke’ model of an airline network to one focussed upon ‘point-to-point’ demand, often serving markets that had been ignored, or poorly served, by incumbent airlines. A lean corporate structure often meant that the low cost carriers’ network planning teams were very small (often one person) or non-existent (shared across multiple functions). Coupled with the need for these carriers to develop a network from scratch, and to identify opportunities that may have thus far been overlooked, these resource-thin airlines looked to destinations to ‘compete’ for their attention and aircraft. In return, these airlines offered rapid and new demand to destinations that could demonstrate the viability and profitability of new services. In this new world, not only did destinations have to compete for carriers’ attention, but they also had to provide a lucrative and growth-oriented charging structure to airlines. This required a significant shift in the thinking of many airports, as lower prices but more rapid passenger growth represented a significant and compelling proposition. Major airports and destinations responded to this new need by creating new positions within their organisations – such as aviation business development managers, airline attraction directors and airline marketing assistants. As a consequence of the changed nature of airline business models, the increasingly commercial-orientation of airports and destinations, and the significant growth in air travel demand, destinations have become more active in competing for airline capital and attention. The primary goal for many airline attraction teams within airports and destinations is to increase the number of seats – and by extension, passengers – offered by airlines to and from their destination. In many cases, this has become an increasingly competitive activity between destinations (often encouraged by the airlines being courted), as they compete for an additional aircraft, a larger aircraft, an additional frequency, a new route or a new airline. Within Australia, all of the major airports, Tourism Australia, most state governments, as well as a number of regional airports, have invested in staff and resources dedicated to convincing airlines that their destination is deserving of additional growth. Armed with detailed analysis, attractive discounts and lucrative incentives, these aviation attraction experts have fanned out across Australia and beyond to promote and attract airlines to their destination. Airlines have increasingly relied upon these experts to present a compelling case for their capacity growth, even going so far as to use this competition to create an RFP -like tender process for new capacity. As many of the most obvious new route opportunities have been identified and commenced, new route opportunities require an increasingly sophisticated approach: Often, market data has been absent, demand has been ‘hidden’ by other factors and institutional barriers have appeared insurmountable. Sometimes, airlines have had to be convinced of an unorthodox approach that has often led to new sources of profit for all parties. In Australia, one of the most prominent examples of this new and vigorous approach was that used by Sunshine Coast Airport to attract Air New Zealand services from Auckland, resulting in a regional domestic airport becoming Australia’s newest international gateway. This approach was one involving many partners over a number of years – including Sunshine Coast Airport, Auckland Airport, Sunshine Coast Destination Limited, Tourism and Events Queensland, Auckland Tourism, Events and Economic Development, Virgin Australia and Air New Zealand. Sophisticated analysis, a doggedness by all parties to investigate the opportunity, a true partnership approach, an innovative incentive model, and a willingness to embrace an entrepreneurial approach were the critical components in overcoming what had appeared to be an impossibly lofty goal. One of the most challenging aspects of route development in the Australian context is the step taken by airports to transition from an all-domestic operation to a mixed domestic and international operation. Of the 132 airports in Australia with commercial services, only 10 airports currently have scheduled international services, and only 7 airports are designated by the Australian Government for unrestricted international operations. Only Queensland and Western Australia have multiple airports handling international flights. For airports that wish to attract international services – thus becoming international airports – the process is particularly arduous. Australian Government requirements for processing international flights – in respect of security, customs, immigration and quarantine – impose a much higher burden on airports than domestic operations. New infrastructure must be developed, domestic and international passengers must be separated (with differing securing requirements), departing and arriving international passengers must be separated from one another, and tarmac operations are constrained during the operation of international flights (among other issues). Furthermore, in the context of fiscal restraint, the financial burdens of these considerations, along with the operational costs associated with customs, immigration and quarantine, must be borne by the airport involved. 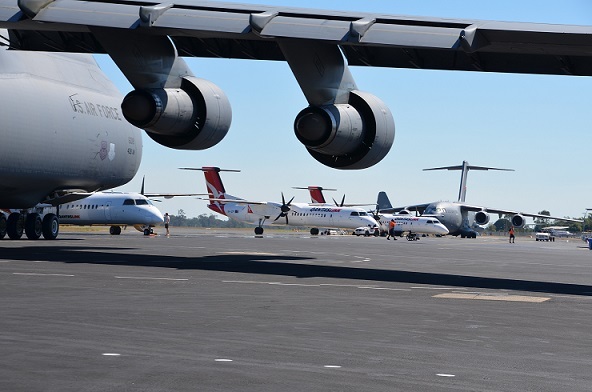 In recent years, only one Australian airport has successfully made this transition and commenced international operations – Sunshine Coast Airport. Even in the context of perhaps the most innocuous international market (New Zealand), the full deployment of border agencies and protocols was required. Sunshine Coast Airport, along with the international airline involved (Air New Zealand), was required to apply for border facilities to be approved at the airport, and had to present detailed plans for infrastructure to fulfil Australian Government requirements. Following the construction of these facilities, Sunshine Coast Airport was also expected to pay for the costs of customs, immigration and quarantine staff on a full-recovery basis, due to the lack of budgeted funds for this “expanded” responsibility for Brisbane-based staff. In Victoria, Avalon Airport has also embarked on the process of becoming an international airport, albeit without a specific airline “on the hook”. This has resulted in a significantly more complex and longer-duration process than that of Sunshine Coast Airport, due to the Australian Government’s concern and reluctance to commit without a clear understanding of the nature of the proposed international services. 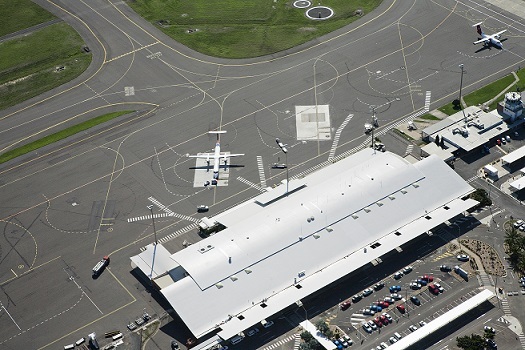 In the coming 12 months, Newcastle Airport in New South Wales is also expected to commence approvals process for international operations as part of its terminal redevelopment. One of the most challenging aspects in this process is that the Australian Government requires detailed descriptions and plans for the proposed international services – including the airline, international port served, frequency, schedule and aircraft type – prior to considering allowing international operations. From the airline’s perspective, however, the lack of border facilities, and Australian Government approval, is typically a barrier for consideration of new international services: Without international facilities, an airline won’t consider international services, and without an airline’s plans for international services, the Australian Government won’t consider international facilities. The resolution of this conundrum requires very careful and intensive management of stakeholders – airline and Australian Government in particular – and must be led by the airport with the support of its partners (destination development and state tourism organisation). The process is extremely difficult, and an airport – with its partners – must not only convince an airline of the viability of the opportunity, but also of the airport’s ability to develop international facilities and secure Australian Government agreement to the plan. Therefore, the opportunity presented to the airline must be particularly compelling, and the airport must have a clear plan that generates sufficient confidence in both the targeted airline and the Australian Government to win their support to undertake the relevant steps in becoming an international airport. After the first decade of explosive growth led by low cost carriers, capacity growth – and in particular, domestic capacity growth – is likely to prove more difficult to secure than it has been. Market maturity in Australia, and growth opportunities in Asia and beyond, mean that Australian destinations will have to compete in a more sophisticated and nuanced way than previously. 10 per cent per annum growth will come to be seen as a feature of the 2000s, not as a goal for the future. In other mature markets, where low cost carriers have been a feature in the aviation marketplace for two decades or more, the role of aviation attraction has changed somewhat: Rather than competing for substantial new growth, destinations in Europe and North America have had to protect their existing capacity from airline consolidation and more disciplined capacity control by airlines. As the airline market in Australia shifts from three major airlines (Qantas Group, Virgin Australia and Tiger Airways) to two major airline groups (Qantas Group and the Virgin Australia Group), destinations are likely to find less appetite for substantial and market-changing growth. As a result, airline attraction teams will need to focus their efforts on building strong and multi-year agreements that underpin a base level of capacity with a moderate level of growth, devoting more resources to harder-to-uncover opportunities, monitoring the development and activities of competitive destinations, meanwhile protecting and diversifying their revenue bases.